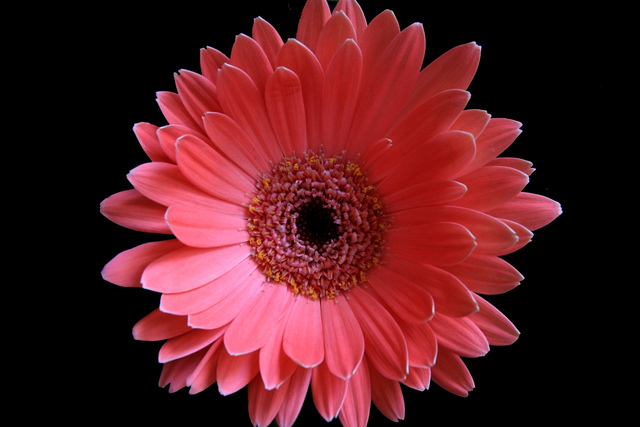 Gerbera Jamesonii cut flowers is one that is quite well known. There are more than 200 cultivars of this flower, and some have been developed on a large scale. 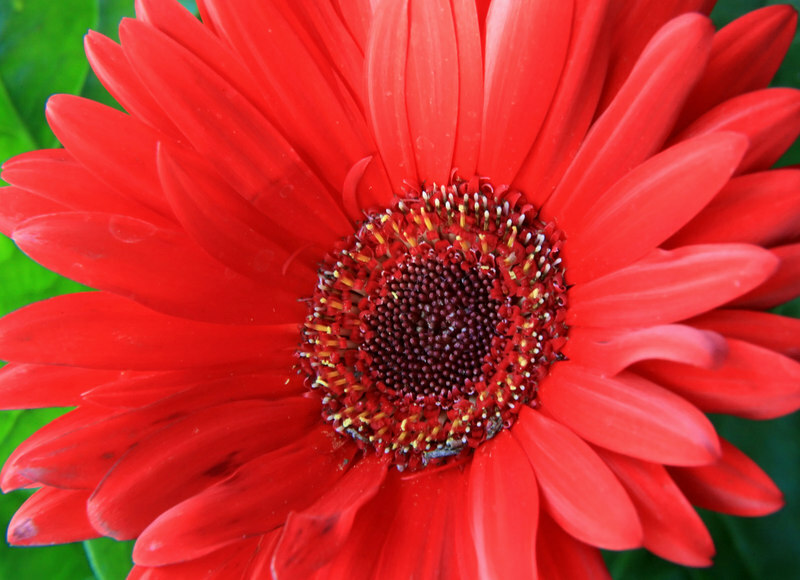 40 species of the genus Gerbera Jamesonii. 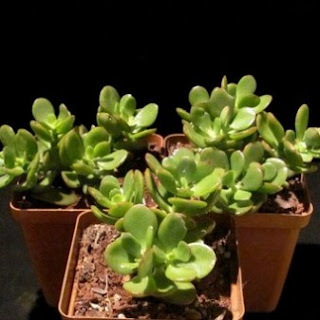 Cultivars that now there is a possibility of cross g. jamesonii with g. viridifolia. 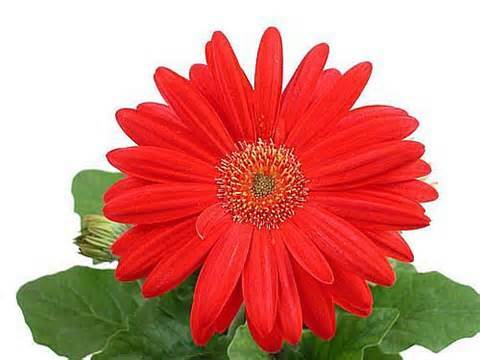 Gerbera Jamesonii is quite rapid development, not least the new cultivars are produced from various countries netherlands, united states, japan, thailand and australia. Garbera jamesonii flowers / gerbera very typical with small overlapping circular petal. 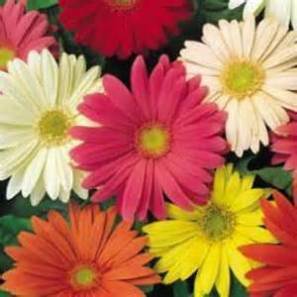 Flower color is very diverse there are white, yellow, orange, pink, red and scarlet. The flower stalk about 50-75 cm long. 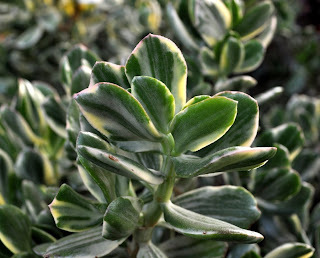 The leaves are rather long grooved edges, and surface hairy, dark green leaf color. Better seed germination at 20 C -23 C day and 17-21 C for the night. 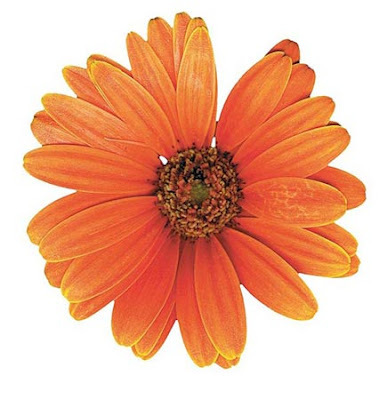 temperature during the crop growth averaging around 24 C. Gerbera Jamesonii grow in dry conditions in the summer and wet in winter. These plants require adequate water supply but not flooded. 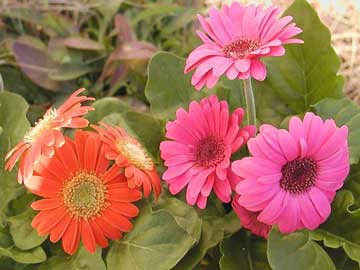 Gerbera Jamesonii require high humidity for development. 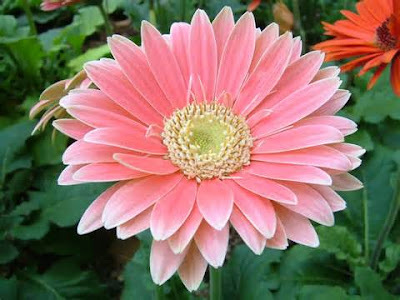 Gerbera Jamesonii quite sensitive to Aphids, cyclamen mites, tunggus grate, spider leaf borer, thrips, white butterfly, caterpillars snails. But with intensive pesticide spraying will be protected from these pests. Plant height reaches 120 cm, long green leaves. Sometimes out of the armpit leaves and roots keiki (which failed flowering shoots). between 4-20 cm long leaves. The flowers have three sepals and three petals, lips clearly visible flowers, variegated colors: white, red, pink, yellow, purple and mixed color. 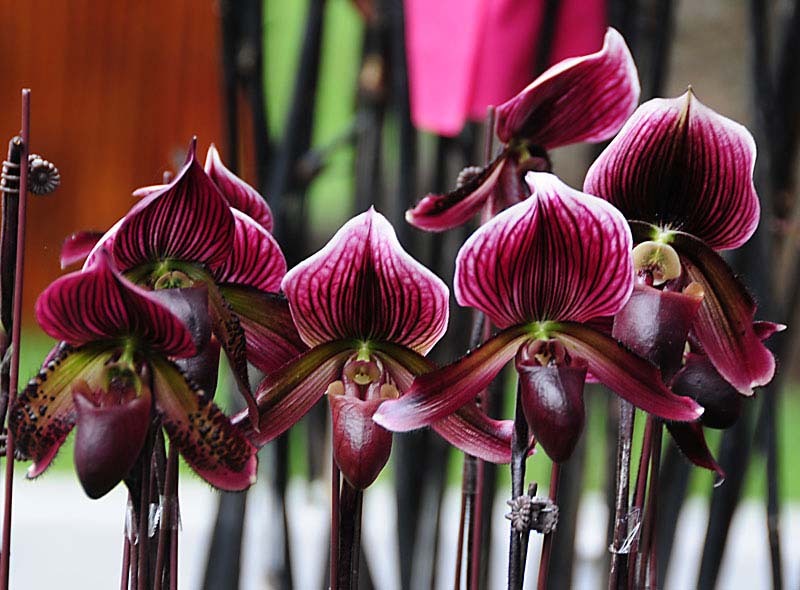 An expert in terrestrial orchids to grow seeds, small seeds. One cause is due to an abnormal endosperm or deficiency induces endogenous growth hormone as GA. In the world there are several types of paphipedium like P. primalinum, p victoria-marie, p. curtisii, p. lowii, p. glaucophylum. Including epiphytic orchids from Latin America, from 40 species developed into hundreds of thousands hibridnya. flower color is white, white, purple, pale purple, yellow. some nice cultivars flower is cremton with yellow flowers and maroon labilum.. This plant is mostly reserved orchids as cut flowers. 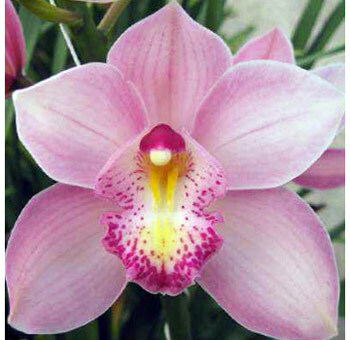 Thailand exports cymbidium flowers for the benefit of consumers around the world. 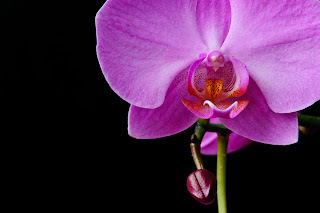 This orchid can last a long time in about 3 weeks suitable place be traded. This cymbidum nature grows as a terrestrial plant, thick and hard roots, leaves long and out of the pseudobulb. 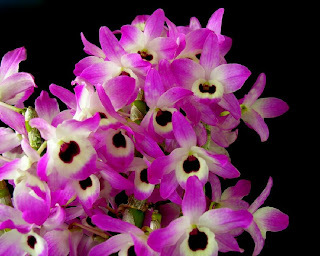 This orchid is an epiphytic plant, grow many tropical forests, there are about 50 species. 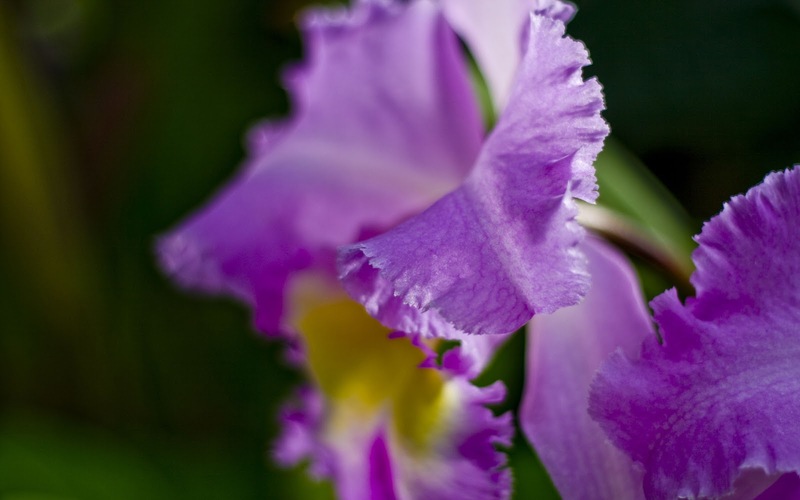 This orchid origins of the American tropics, most likely from Mexico to South America. 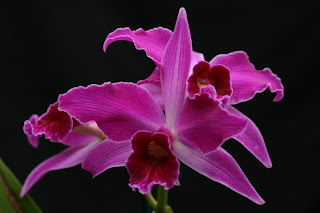 Laelia purpurata flowering in the spring and has large pink flowers orange. 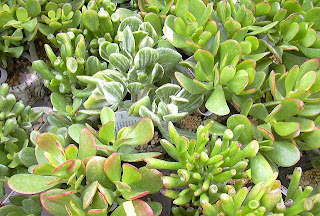 These plants (crassula ovata) include Crassulaceae family, originally from South Africa. 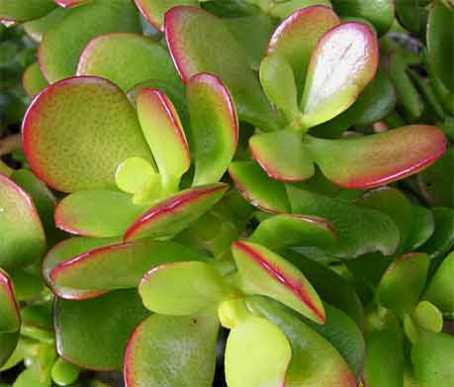 Crasulla known as Jade Plant, because the leaves are thick and glossy look like jade comes from China. 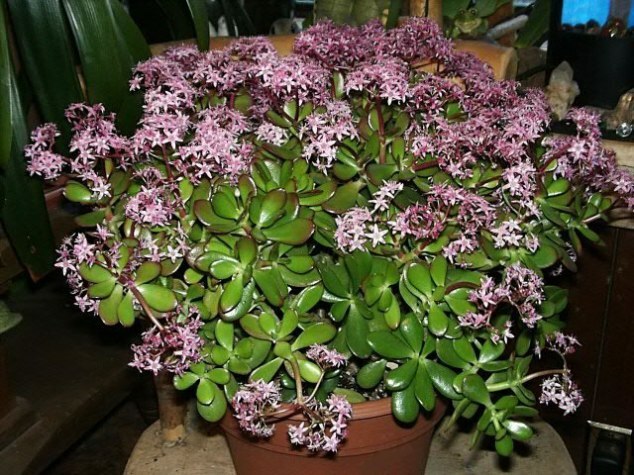 Other species are C. arborescens, C. Argentea and C. Portulacea, three is a very suitable plant indoors. The trunk has a branching and looks succulent. 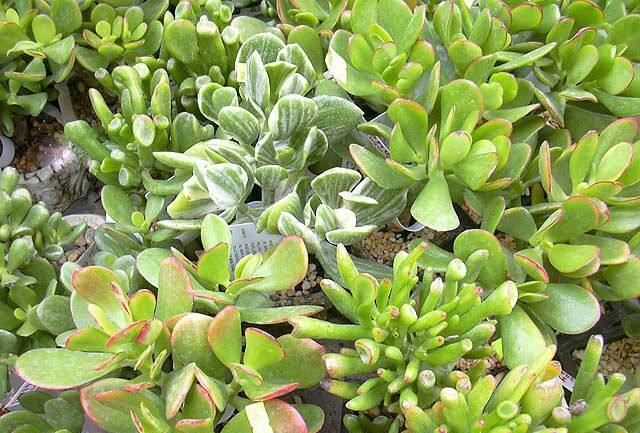 Plant height can reach 1 m. When planted outdoors in full light the leaves will issue a reddish color. The flowers are white mixed with pink shabby. Many cultivars that are traded Hobbit and Gollum. 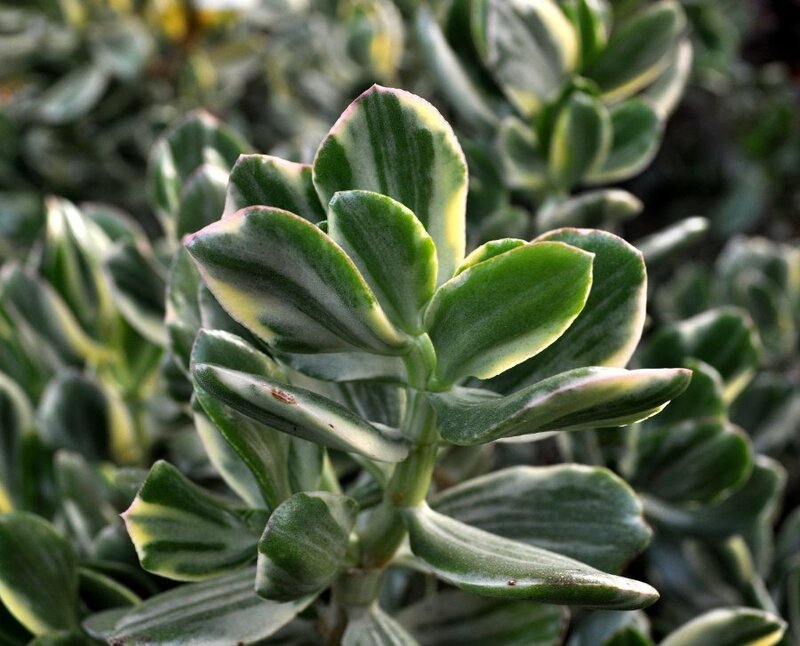 Required light is bright, but tolerant of shade, so it can be used as an indoor plant. Watering is done when the media is dry. low to moderate around 30-60%. Good air temperature around 18-29 C. Major is required at the time of planting and NPK orhanik material. NPK fertilization was repeated once a year. 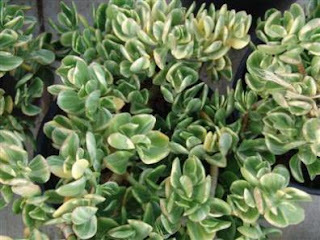 This plant can be propagated by stem cuttings or leaves. Cuttings root easily grow even if not given a PGR. The problem that can occur when making the cultivation of this plant is the excess water will damage the roots.